Whisper Walls acoustic wall systems are very customer-friendly and to begin your project, you simply choose the system depth and fabric. 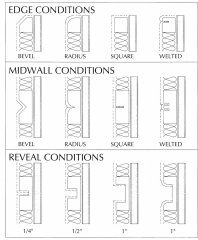 Standard depths are 12mm, 23mm, 27mm, 32mm and 52mm, although other depths may be customised, to meet with architectural drawings and specifications. 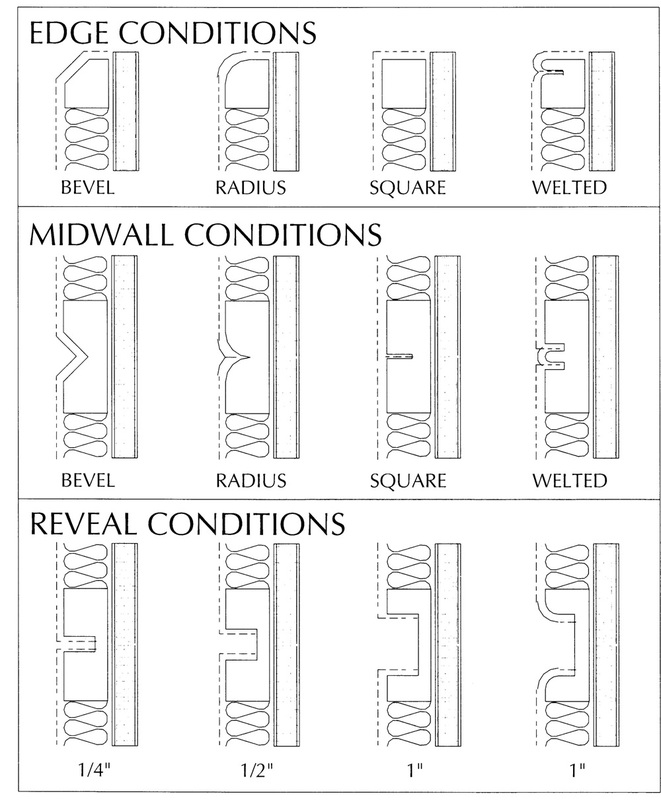 Edge configurations are square, bevel, radius or welted. Options for reveals are a very creative and dramatic feature and may be finished in wood, metal, paint or other suitable selected materials. In standard width and edge configurations, reveals are available in recessed style, flush or raised. 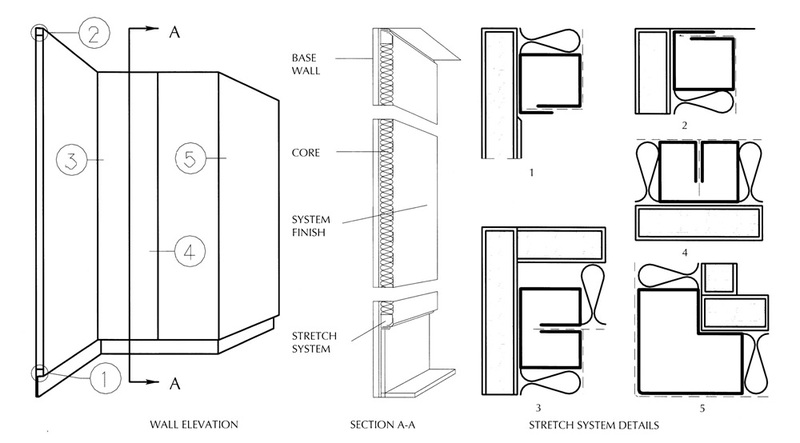 Flexibility is key and Whisper Walls systems are constructed on site, so that our highly trained and expert technicians will adapt walls, ceilings to interior constructional irregularities or unusual configurations. Whisper Walls can be mounted on almost all wall or ceiling surfaces, stud panels, plaster work, stone, brick, metal, concrete or wood, or even on glass (including mirror). We can fabricate around window frames and doors, and carry out detailed shaping around tight corners, small pipe work, conduits, and any architectural feature e.g. alcoves, steps or arches. This tailor-made approach ensures that the problems that often beset projects utilising conventional pre-fabricated wall and ceiling panels, are completely eliminated. Such problems can include poor fit, uneven wall surfaces, out of square walls, shipping or general handing damage and the limitations on shape and size. Other problems with pre-manufactured panels include corners not meeting truly to show an accurate 4-way intersection, imposed by uneven, newly fitted plasterboard surfaces.